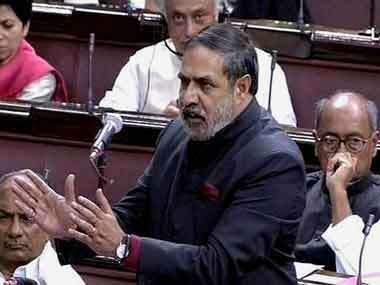 Gandhinagar: Senior Congress leader Anand Sharma on Tuesday lashed out at Narendra Modi for "spreading lies and telling untruths", and said the prime minister has "stooped to his lowest". Sharma said the prime minister during his visit to his home state Gujarat was being emotional in front of the public in order to "run away from real issues" the state was facing. He also said Modi was playing the caste card by always saying he was born in backward caste. Addressing the media, the former minister said, "When he says that Congress is clapping at the release of Hafiz Saeed, he is saying a lie. If the prime minister can stoop to such a low level, it is shameful for the country. The prime minister should not be speaking lies." "It is because the BJP doesn't have any real leader of their own to showcase, they try and grab sometimes Subhas Chandra Bose and sometimes Sardar Vallabhbhai Patel. Sardar Patel was very much a Congressman and the title of Sardar was given by Mahatma Gandhi," Sharma added. Asked about the BJP and Modi saying the Congress was playing caste politics, Sharma said, "It is the prime minister who is doing that. India has never seen any prime minister who goes around saying that he was born in backward caste. In the history of the country, no other prime minister has stooped to such a low level." He said, "He always speaks untruth and distorts history. Modi hates the truth. By raising his voice and speaking lies, he tries to show bravado. If he is so brave, why does he run away from the Parliament? 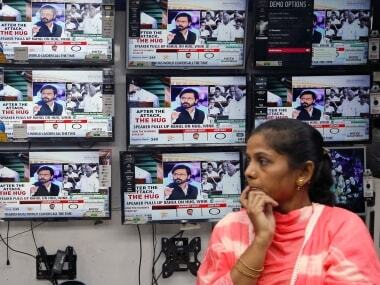 Modi has tarnished the image of the country. Whenever he goes abroad, he speaks badly about India. No other prime minister could have stooped to such a low." Sharma claimed that Modi had "no tolerance and democratic mindset". 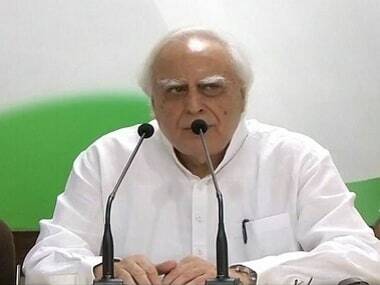 "Your (Modi's) big promises have turned out to be a lie and you are running away from discussions and only making false emotional statements," the Congress leader charged. 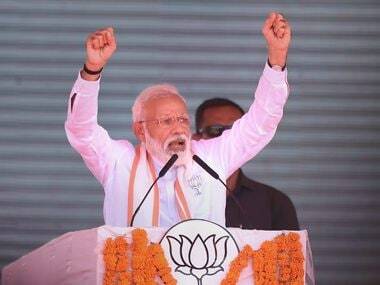 On Modi's speeches in the poll-bound state, Sharma said: "The prime minister is being emotional just to run away from real issues. Why doesn't he speak about real issues than of 'being a son' and all that? Everybody knows he is from Gujarat. Nobody is denying that. But why go on repeating that instead of talking about development if it has really been carried out in the state."